"Destitch" is the inverse transformation of stitching. captured with normal (rectilinear) camera lenses. Some images on the right have been rotated. See here for information about the division methods. 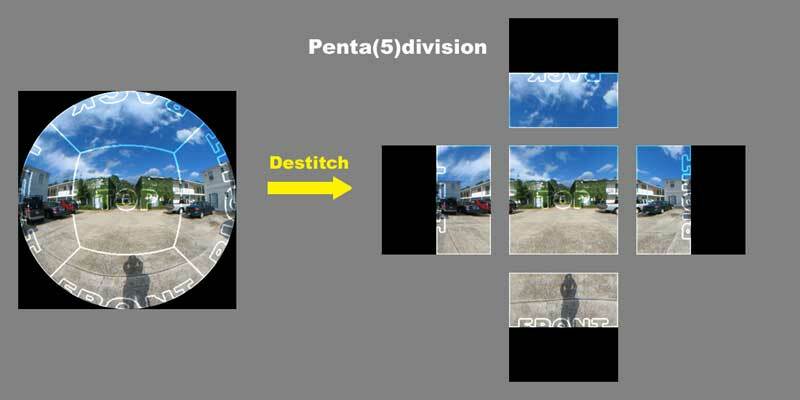 to five or four 90 x 90 degree (about 109.47-degree diagonal FOV) rectilinear images. 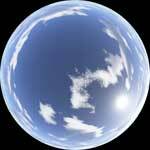 for cubic mapping in rendering 3D computer graphics. They also can be used as projection maps or used for camera match. 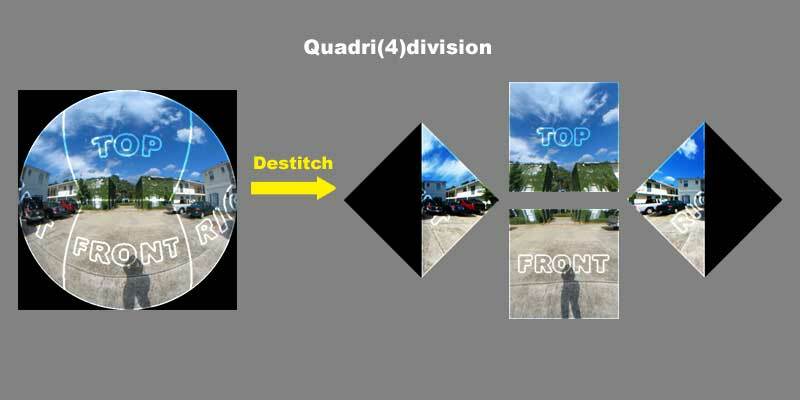 Or you might just want to remove distortion in fisheye images captured with a digital camera. QuickDeStitcher is a Windows application to destitch. At this time only Truevision TGA (Targa) files are acceptable as source files. Only if you check "Alpha channel," the output files will be saved in 32-bit. Source images must be square (1:1 image ratio). You can download the trial version of QuickDeStitcher by clicking the button below. 1. Prepare a dome master or a series of sequential dome masters like this. The file format must be TGA, and the image ratio must be 1:1. "End (number)" edit boxes will be filled automatically. 3. Select a destination folder. Folders named "front,""top,"
created under the folder automatically.